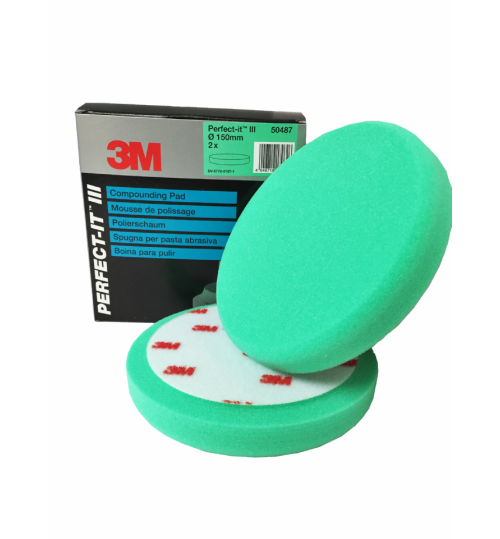 3M Perfect-It III Compounding Pad Green (50487) - for Fast Cut + Compound, 2 Pad Pack. This pad works hard to deliver an aggressive cutting action that removes scratches and swirl marks from both refinished and New paintwork. It is highly recommended for use with a machine polisher and 3M Perfect-It III Fast Cut+ Compound 50417.